If there’s one thing that stands out Sailrite sewing machines; it’s the ruggedness which other sewing machine brands hardly have. 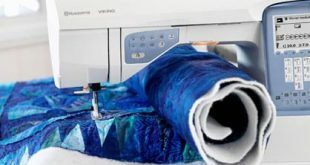 Knowing you will love these machines for their ruggedness and ability to handle tough fabric, here are my recommended 5 best Sailrite sewing machines. Read through and make your choice. Sailrite LSZ-1 Basic is built on a sturdy wooden base that can firmly hold down the machine. Strengthened with double the power of a traditional sewing machine that allows for daredevil speed and control. LSZ-1 Basic Boasts of immense power and stability, both of which are required to handle heavy materials. A versatile sewing machine built with some of the most reliable sewing parts that can stand the test of time and the strength of materials. Relying on the patented Clutching System, all the power generated by the balance wheel (plus) is referred to the needle. 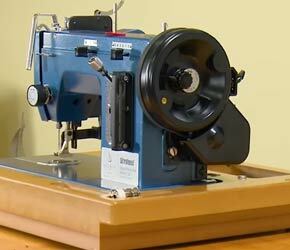 With this machine, you can sew through everything that can fit under the sewing feet. This machine is not made just for heavy and thick fabrics, thinner materials can also be sewed by this sewing machine. Whether it’s leather, heavy canvas, sailcloth or denim, just set the feet height to 6mm and you are ready to go. Whether you are sewing forward or reverse, the Sailrite LSZ-1 Basic is ready to ride with you. The Ultra feed is built to go anywhere; workshop, home, outdoor or even RV. There’s a high level of comfort and convenience that this semi-industrial machine offers. Sailrite LS-1 Basic will not even cough or grumble upon 10 layers of canvas, the quality of build and the stitches produced are exceptional. As a straight stitch only machine, the LS-1 Basic is meant for tough and heavy materials. With the support of the walking foot, the thickness of the material will not affect the sewing foot during usage. Made to produce stronger seams with the stitch length of up to 6mm. In addition, it comes equipped with a 3.5-inch foot lift that allows you spread the thickest of material without jerking to produce even stitches. The sewing machine relies on the large wooden base that stabilizes the machine, providing a sturdy frame. The right needles to handle every material is provided along with a thread stand and 4 bobbins. Planning to sew sailor tents and needs an affordable option? Sailrite LS-1 Basic is the right sewing machine recommend to advanced and developing sewers who will deal with tough and stubborn materials daily. Don’t be too overwhelmed by the number of sewing machines you’ve seen and heard of, you need the best and not a toaster. Sailrite LSZ-1 Premium is equipped to deliver more than a traditional sewing machine. LSZ-1 Premium packs much more than what an average sewer will need. The Monster 11 balance wheel provides enough balancing and stability for heavyweight sewing. You can even rely on the Hand crank to sew without electricity, not just a forceful sewing but a convenient one. With the reverse lock and stop knob, the stitch length can be kept in place either to a forward or reverse sewing. You can also rely on the magnetic guide to arrive at a perfect straight stitch without deviation. In essence, there are many industrial machines out there but they mostly lack one thing; portability. That’s where Sailrite LSZ-1 Premium stands out, an outstanding machine that can work anywhere and everywhere. Sailrite is hell-bent on getting it right with every sewing machine that bears its name and this one isn’t an exception. Perfect for delivering quality industrial sewing like the sail and marine works than domestic grade sewing. Whether you are doing straight or zigzag stitch, this sewing machine is ready to open up any fabric and fill in the stitches. During testing, the LSZ-1 PLUS confidently went over multiple of heavy canvas and Dacron sailcloth. These are just some of the toughest materials that only rugged sewing machines like Sailrite Ultra-feed LSZ-1 PLUS can handle. A hard-carrying case which has an elastic protector to keep the machine in place is provided. There’s also a stitch length plate for enough precision and accuracy coupled with a flex LED light that will illuminate the workplace at night. You should also know that the Sailrite packed in LSZ-1 PLUS enough accessories including a sewing machine oil that will last you for a while. This isn’t one machine meant for the home front, but for a complex sewing task. A portable sewing machine that does it job excellently. The most appropriate place to find the LS-1 PLUS is an industrial set-up where it is fed regularly with tough and thick fabrics. Please note that this is not a sewing machine that is meant to sew just linen, silk or other light materials. Even though it is capable of gently sewing through them, it is meant for the tough ones. There’s too much to love in this sewing machine; the power, speed and swift control of the motor are top notches. Maybe the electronic foot control that put you in control, or is it the mechanical presser foot which works with the feed dog to deliver consistent straight stitch. 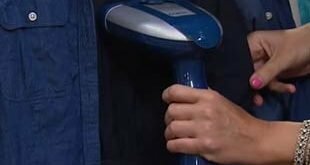 Even though it may be a little bit heavy, it is portable enough to follow you everywhere. With the industrial grade carrying case, you can sew on the go and on the way. Be assured that this industrial sewing machine will ride and stitch any material you can put on the feet. 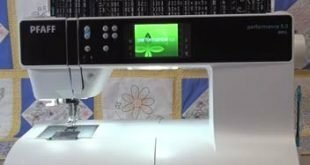 You need not worry about learning to use and maneuver this Sailrite sewing machine as there is an in-depth instructional DVD to put you through the toughest tasks. Thinking of getting a rugged and sturdy sewing machine, then the Sailrite LS-1 PLUS should come to mind. Sailrite Sewing machines all look alike. Mostly walking foot and delivering with little or no difference. Whichever you settle for will surely serve you for more than a generation with proper use and maintenance. Let’s assume you are unable to settle for one due to the similarities; then I’ll help you further. Sailrite LSZ-1 BASIC Walking Foot Sewing Machine is indeed a basic sewing machine meant for industrial and heavy duty sewing. A good choice for an entry-level user. Not actually the most affordable sewing machine, but Sailrite LS-1 BASIC is worth every buck and arguably one of the cheapest Sailrite you would find. Lastly is the Sailrite LSZ-1 PREMIUM. Feed this premium sewing machine with multiple layers of thick fabrics, and it won’t cough.